A collection of eight thin rings of varied textures in a high-polish finish. 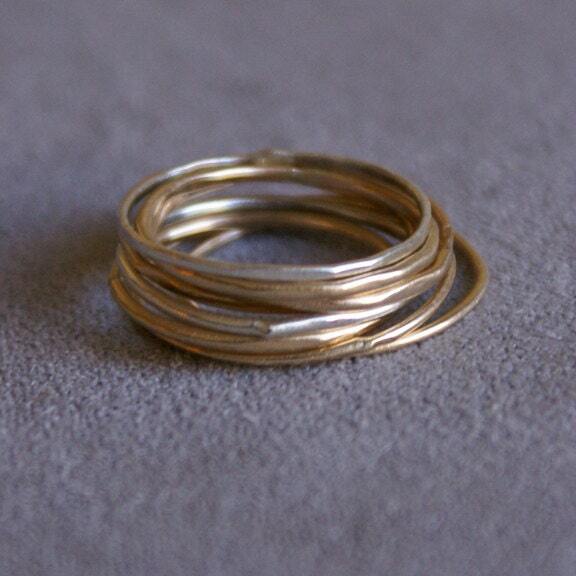 Three silver and five goldfill rings stack up into an eye-catching column. A beautiful group.